In an interview with news agency ANI on the first day of the new year 2019, The Prime Minister Narendra Modi First Interview of 2019 on Tuesday said any decision on bringing an ordinance on Ram Mandir can be considered only after the judicial process gets over. He also targeted the Congress for creating “obstacles” in the Supreme Court and slowing down the judicial process. “We have said in our BJP manifesto that a solution would be found to this issue under the ambit of the Constitution,” Prime Minister Narendra Modi said when asked whether the Ram Mandir issue had been relegated as merely an emotive issue for Bharatiya Janata Party (BJP). 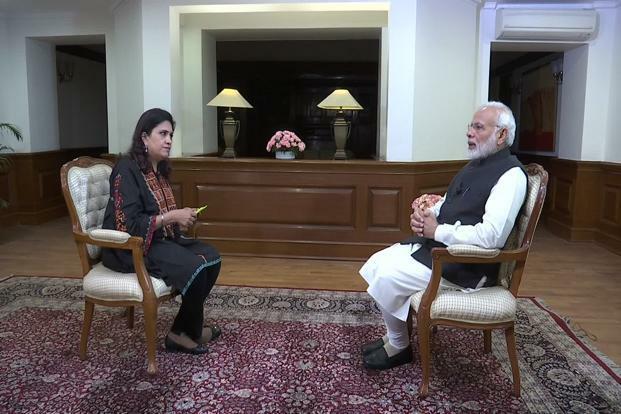 During the course of the Prime Minister Narendra Modi First Interview of 2019, he spoke on various issues—ranging from RBI governor Urjit Patel’s resignation to demonetisation and a mahagatbandhan, or Grand Alliance, of opposition parties against the Bharatiya Janata Party and its NDA allies in 2019 Lok Sabha elections.